Continuing the events detailed in Star Trek: Destiny: With the displacement and devastation wrought by the Borg, can the Federation survive? The Borg invasion has left the Federation reeling. Countless people have been killed or displaced by the wonton destruction, and now seek solace on planets that struggle just to feed their own. The ideals wrought in the paradise that was the United Federation of Planets now seem to be a distant dream. Starfleet is shattered, giving old enemies a chance to gain the upper hand. The question now is, what can one ship, and one captain do to prevent humanity from losing the peace? 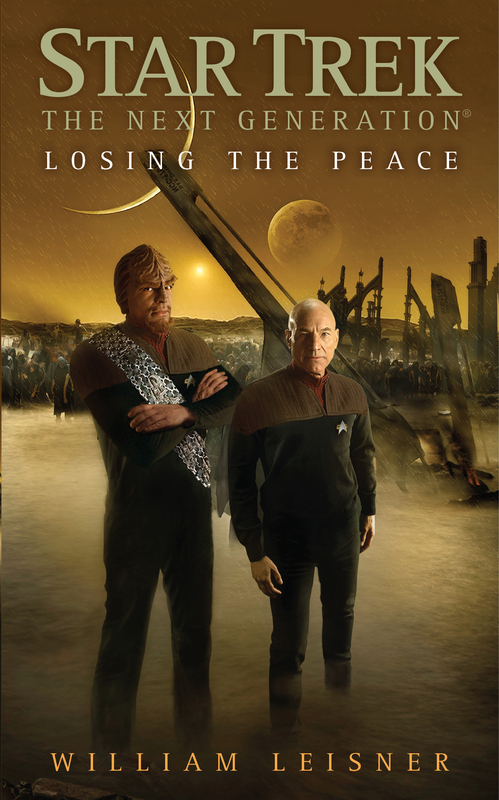 William Leisner is the author of the acclaimed novels Star Trek: The Next Generation: Losing the Peace, and A Less Perfect Union (from the Myriad Universes collection Infinity's Prism). He is a three-time winner of the late, lamented Star Trek: Strange New Worlds competition, as contributed tales to the official celebration of Star Trek's 40th anniversary in 2006, and TNG's 20th Anniversary in 2007. A native of Rochester, New York, he currently lives in Minneapolis.